Golden Needle Tailor Shop is located in Lansing. We will do any alterations that you need for your special occasions or casual days! 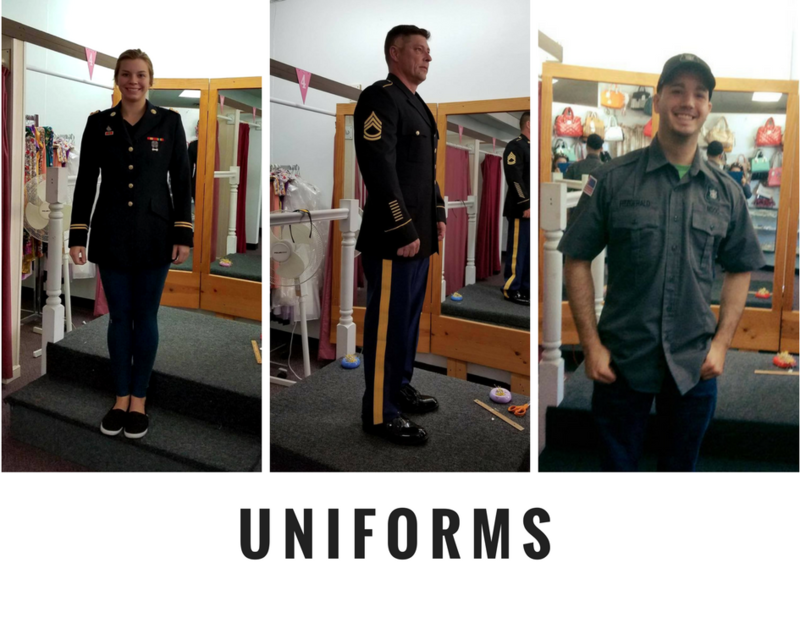 We can alter your military uniforms! Golden Needle Tailor Shop is located in Lansing. We will do any alterations that you need for your special occasions or casual days. wedding, prom, homecoming, party dresses/suits (accessories available for you to try on and alterations).